◇ Set has contradiction: The “Russell’s Paradox”. 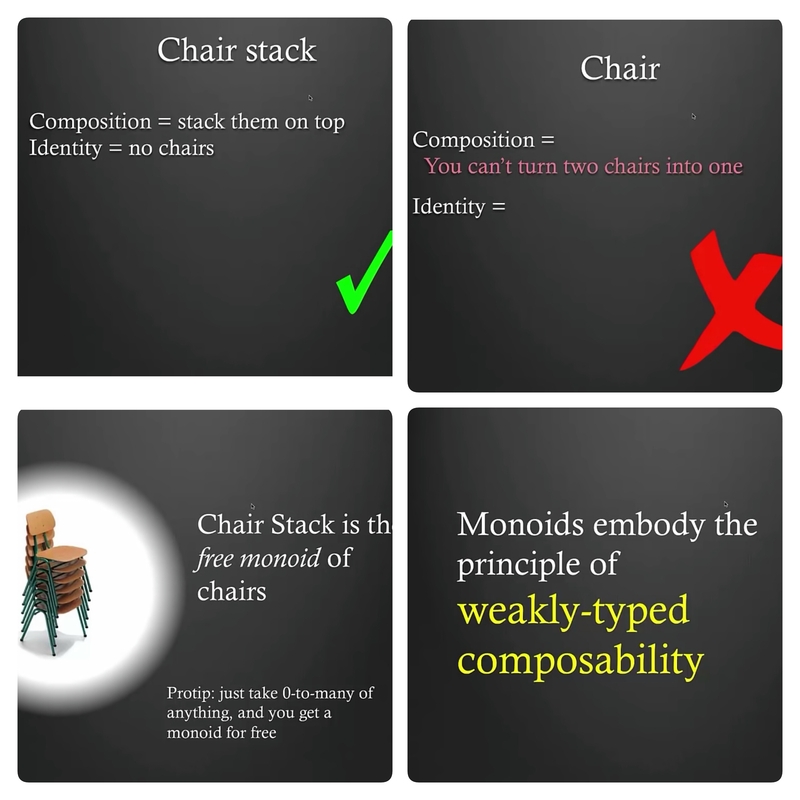 ◇ Data Immutability for Concurrent Processing : OO can’t control the mutable state of objects, making debugging impossible. 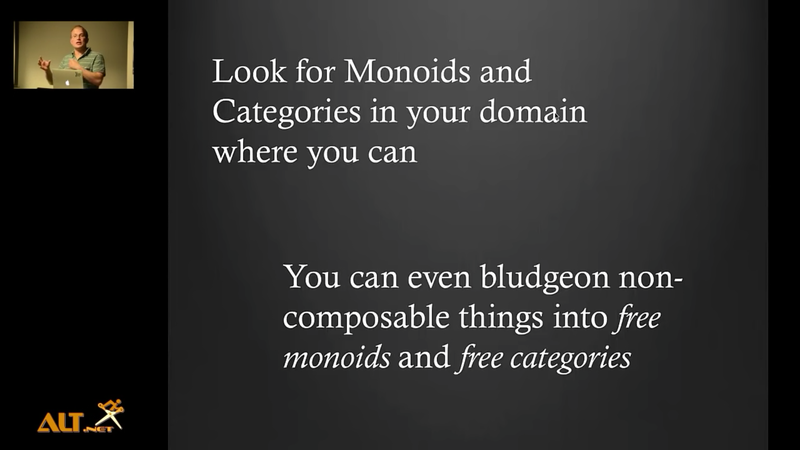 Note: If the Identity is “0” or “Nothing”, then it is called Free Category. 1. 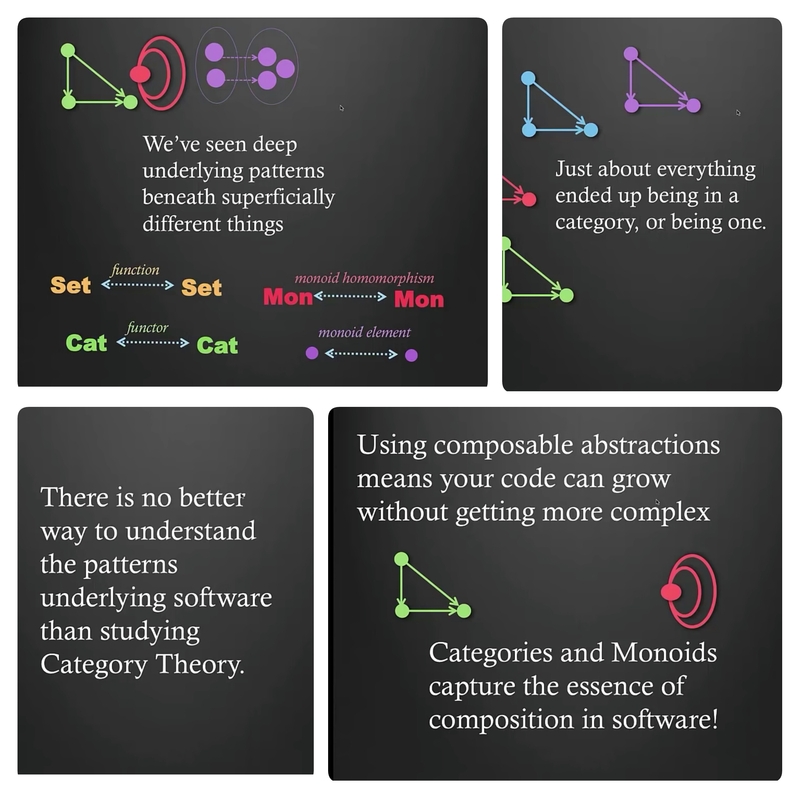 “Cat” = Category of categories, is also a category. 2. 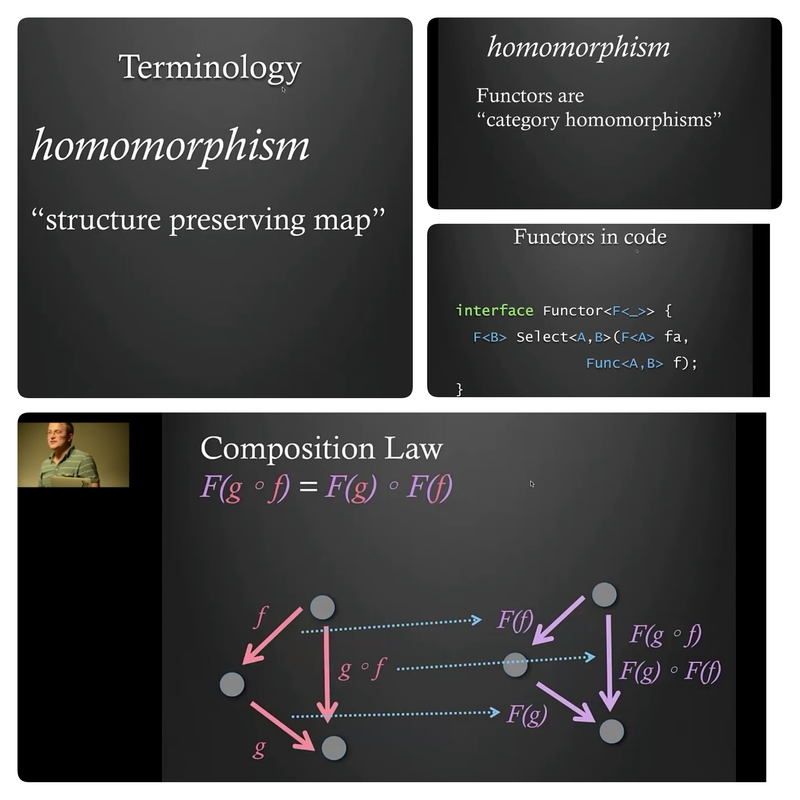 Functor 函子 = Arrows between Categories. 3. 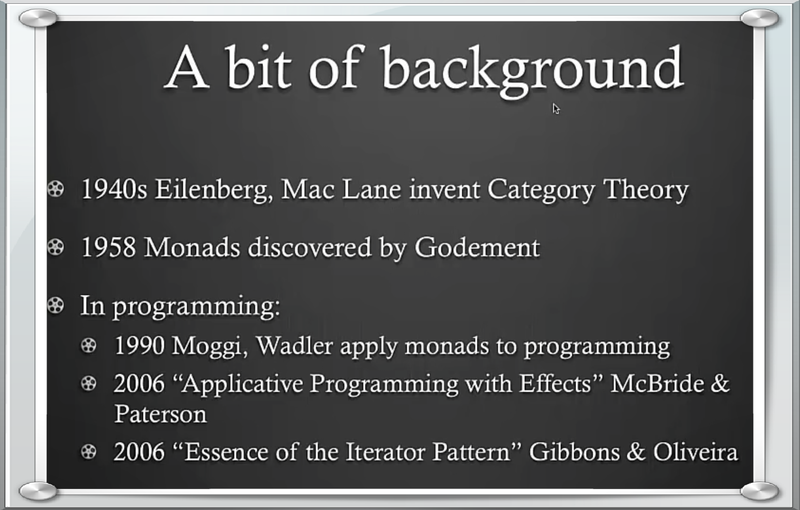 Monoid = A Category with ONLY 1 Object.